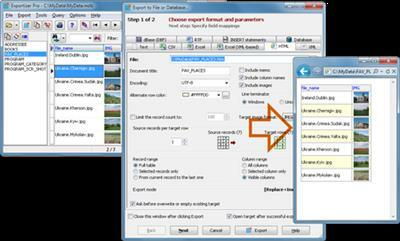 Exportizer Pro is a database export tool. It allows to export data to database, file, clipboard, or printer. Exportizer Pro works with databases via ADO, BDE, or Interbase/Firebird. It can open ODBC data sources, files of DB, DBF, MDB, ACCDB, XLS, XLSM, XLSB, GDB, IB, FDB, HTML, UDL, DBC, TXT, CSV types, and databases specified by ADO connection strings.